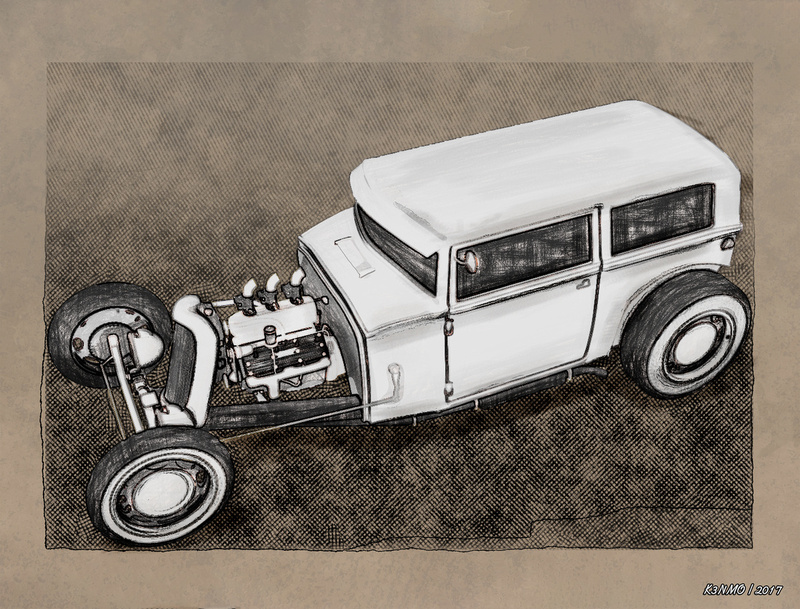 An Old Skool hot rod powered by a flat head V8. These were the kinds of hot rods that were the norm when I was growing up and one of the reasons I feel in love with the cool cars which were so popular and showcased in all the popular hot rod magazines. Illustration is based on a 3D model I created from scratch using Hexagon 3D w.5 and Silo 2.0. Rendered in Daz Studio with 3D Delight renderer. Post work in Photoshop CC 2018, Topaz Studio Impression and Filter Forge 7.0.